Last week we focussed on the SaaS Unicorns, so this week, let’s look at the other end of the spectrum – the SaaS startup. What does it take to build, launch and grow a successful SaaS startup? And, speaking of startup success, ff you are in the Southern Ontario area, you won’t want to miss the upcoming Customer Success Meetup on April 14th. The theme is “Customer Success = Startup Success”. Jason Lemkin warns that it takes 24-months to know if your SaaS startup is going to work. You have to fully commit to that 24-month period if you want to build a successful SaaS startup. Slack went from $0 to $12m ARR in ’14. Woah. But it wasn’t founded on 1/1/14. It took them a year to get to a Minimum Sellable Product. And it was really founded as a company many years earlier. 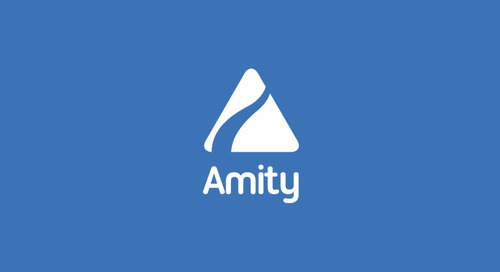 We know this from our experience at Amity. Our prospects look the dimmest at the one year mark. There was a ton of interest and positive feedback, but little in the way of paying customers. Suddenly, at the 24-month point, all the metrics started to improve dramatically. It felt magical, but it was the result of all the slogging in the first two years. Every SaaS startup is standing on the shoulders on Salesforce.com. They invented the SaaS model and proved that it could work. What was the secret of their success? Ron Pragides boils it down to the Seven Habits of Highly Effective SaaS Startups. Your Value is Easy to Articulate. Rally Your Team Around a Cause. Know Your Customers. Make Them Heroes. Make Trust Your #1 Value. Punch Above Your Weight Class. Take Risks and Ride the Wave. SalesLoft has a great set of services for sales teams. Their CEO, Kyle Porter, created a sales-driven company out of the gate, and it paid off. SalesLoft has grown to $3.7M in revenue over the past 10 months. Here’s how he did it: The Sales Structure that Grew SalesLoft into the Fastest-Growing SaaS Company in the US. Each outbound sales representative at SalesLoft contacts 50 new people per day by email using Cadence. Later on in the day, they call those 50 people inside of Cadence, and when they get on the phone, it gets automatically logged inside Salesforce. In total, each prospect gets contacted seven times within seven days: 3 emails + 4 phone calls. Throughout the following days, there’s email follow-up for prospects who didn’t answer the first email and phone calls to those that didn’t pick up the first time. What happens with so much contact is that the sales reps either get an answer one way or another: the prospect isn’t interested, or they’d like to learn more. After seven days, there’s an 80% response rate. Swifttype – $13 M Series ‘B on March 5, 2015. Pressly – $2.5 Million Series ‘A’ on March 4, 2015. Namely – $11 Million Venture Round on March 3, 2015. CloudMine – $5 Million Series ‘A’ on March 3, 2015. Office for Mac 2016 – A truly Mac version of Office. Three cheers! Intercom Realtime – Have live conversations with users inside your app. PRStack – All the tools you need for PR in one place. As the SaaS revolution hits the mainstream, it’s time to rethink our SLA metrics. So, what’s after SaaS? Jeff Kaplan thinks it’s the Internet-of-Things. Leveraging the Cloud. Salesforce.com made their bones using the ‘End of Software’ concept. And it worked beautifully. Now, is it the end of SaaS? 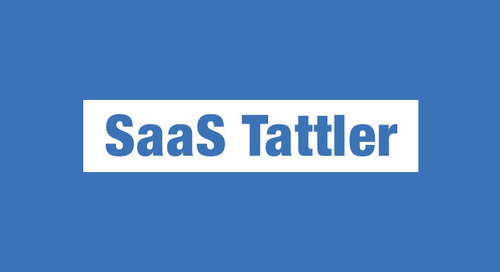 #SaaS Tattler Issue 48 - SaaS #Startup Success w/ articles by @jasonlk, @mrp, @ericosiu and more!